Stomachs full and happy, festival-goers sat to listen to some of the greatest minds in the animal-rights movement today. Ripped athletes spilled their secrets at the Plant-Based Powerhouses panel discussion, followed by a string of panels such as The Future of Food, Cooking With Compassion, and The Next Social Justice Movement: Why animal rights is the social justice cause of the 21st century. 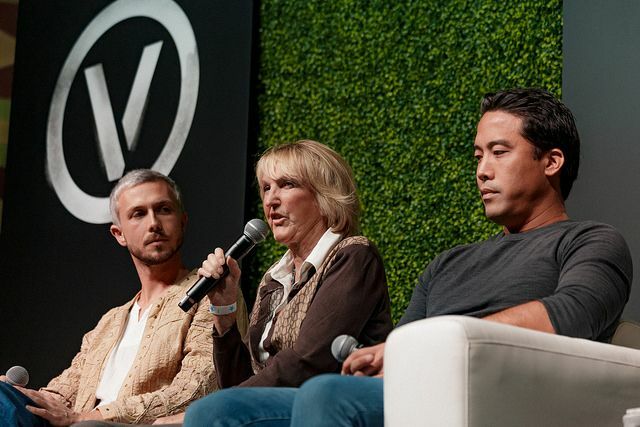 As noted by more than one speaker that day, plant-based is gaining momentum not just with the public, but with food companies who see dollar signs in the vegan market. Animal agriculture giants like Tyson are now investing in cruelty free “meats,” “milks” and more — and even if their motivations are less than pristine, animals, the planet and human health will all benefit.